When the Pope landed in Haiti in 1983 he got to his knees, as has become customary, and planted a kiss on the airport Tarmac. To most observers, this act was hardly worthy of comment. To the Haitian Poles, however, it held powerful symbolic meaning. As one puts it now: "The Pope kissed the ground because he knew that this country, Haiti, was the home of his Polish compatriots." 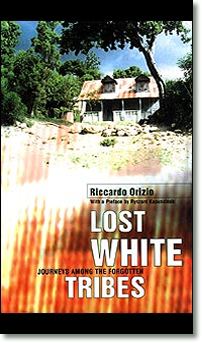 To those with no idea that there were communities of Poles in Haiti - or, for that matter, Baster Germans in Namibia, Dutch in Sri Lanka or descendants of the US Confederates still lurking in Brazil - Riccardo Orizio's book should prove powerfully educational. All over the world he has uncovered remnant white communities, living a shadowy and impoverished post-colonial existence, all of them long forgotten. The result is a book both poignant and arresting, a portrait of peoples lost not only in a geographical sense, but also socially and historically. They no longer belong to white or black society, and as a result have become aloof, unwilling to mix, often fiercely racist. Yet, if these communities hold themselves proudly apart, there is also much that they share. Common among all is close identification with their idealistic ancestors: the Confederados of Brazil, descendants of Confederate refugees from the US Civil War, who can still be heard to pour scorn on "those damned Yankees"; the proud Blancs Matignon of Guadeloupe, whose forebears, some 200 years ago, split from the other French colonists on the island to found a community free from the poison of revolutionary politics; the Poles in Haiti, who trace their lineage back to Polish soldiers sent by Napoleon's "fearsome" brother-in-law, General Leclerc, to put down a slave rebellion in the then French colony of Saint-Domingue. An equal bond is the suffering that all seem to have endured. The 10,000 to 20,000 US Southerners who arrived in Brazil between 1865 and 1885 would dis-cover that "wilderness, dis-ease and nostalgia were more potent enemies than the Yankees". When the makers of the 1973 Steve McQueen film Papillon were looking for actors to play the part of prisoners, they needed look no further than the to Germans of Jamaica's Seaford Town, descendants of mid-19th century colonists, whose story has been one long litany of misery. As Orizio writes: "They had only to play themselves. They too were prisoners, prisoners of the tropics, their bodies sculpted by disease and overwork." As a result, many have turned to fantasy. One old Matignon woman instructs Orizio that she and her kin are related to Prince Rainier of Monaco - a claim refuted by official records, which talk baldly of the "romanticised origins" of the Matignon. But perhaps, in a people close to extinction, such self-mythologising should come as no surprise. If Orizio's journalistic approach is faultless and his material never less than fascinating, the same cannot always be said for the prose. While his observations are occasionally spot on - the sign in the dilapidated Dutch Burger Union building in Colombo that reads, "Members are kindly Requested to Refrain from Attempting to Repair the Telephone, the Telephone is Out of Order" - his descriptions can be wayward. What does a man with "the stocky physique of many small-town Americans who keep a gun at home and live on Kentucky Fried Chicken" actually look like? Yet these are relative quibbles, over-riden by the breadth and originality of the material. 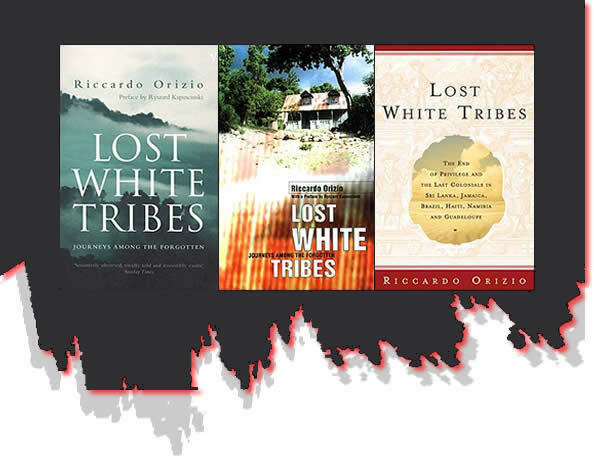 Lost White Tribes is, in the end, a valuable social document, broad enough to give a global perspective, focused enough to tell individual stories. It is hard to imagine that many of these people will survive much longer, isolated and impoverished as they are. They are relics of a past that no one wants to remember - their stories and lives brushed over in the late 20th century hurry to make amends for past colonial excesses. In Orizio they have been fortunate to find their unique historian.